Acacia Gardens: Creating exceptional high-quality landscaping with a personal touch and a total commitment to complete customer satisfaction through dedication, knowledge and attention to detail. Acacia Gardens is an independent North London located London Landscaping Company and London Garden Design Company working with residential clients and commercial clients; Garden Designers, Landscape Architects, Landscaping Contractors, Interior Designers, Property Developers, Social Housing Managers, Residential Estate Managers, Schools, Ground Work Companies, Utility Companies and Local Authorities. 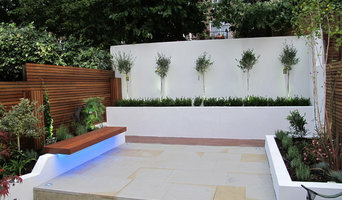 Bartholomew Landscaping is a multi award-winning landscape design + build company in London, creating uniquely tailored gardens since 1989. In the last 5 years we have won 25 BALI awards and two RHS Chelsea Flower Show medals. Over and above all a key feature that we are able to offer is a high level of support, assistance and direction during the design, planning and installation process, through to completion and garden maintenance phases of any project. 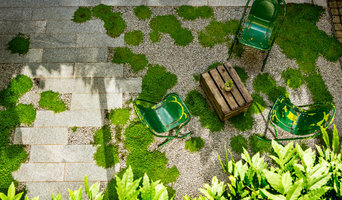 Bartholomew Landscaping carry out work for many of the country’s most discerning clientele including Private Clients, Local Authorities, Architects, Interior Designers and Main Contractors. Get in touch today! We design, build and plant gardens. We can provide a free consultation and quotation for any aspect of landscaping work or garden design, creation and maintenance. We are highly skilled in carpentry, bricklaying, paving, walling, painting, planting and irrigation. We also work closely with a lighting designer to compliment our projects. 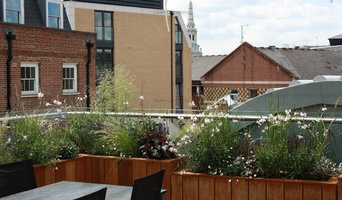 Whatever the project, Design Heights will be happy to help you optimise your garden. We undertake everything from full garden design, garden build projects to smaller scale design work, soft landscaping and planting schemes. 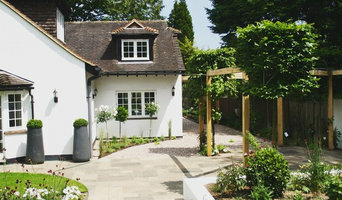 We Offer: •An initial FREE face to face consultation – we want to understand you and your requirements •Hand-drawn designs and sketches - to help you visualise your dream garden •A personalised service, updating you through each stage of the works •Designs in keeping with the style of your home and your individual taste •Specialist requirements: no-water planting, mid-century design, Japanese garden design, naturalistic style or habitat for wildlife. •Seasonal tuition service, bespoke sessions tailored to your garden We are based in Beckenham and cover all SE London postcodes, Bromley and into Kent and Sussex within a 20-mile radius. With their combined experience of over 33 years, Doug & Enzo pride themselves on their landscaping services with their knowledge and expertise enabling them to create a successful business. 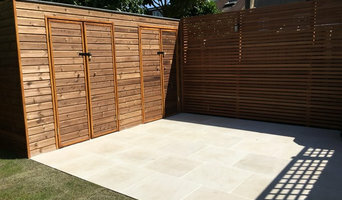 Operating throughout Hertfordshire, Essex and many parts of London, they provide a complete range of landscaping & garden designs to small building work, fences & patios - whatever your garden needs, they can make it happen! In 2012 they attended the RHS Chelsea flower show and were part of a team that built a garden in the partisan category winning a silver award. In 2013, as part of the same team, they attended the RHS Chelsea flower show building a garden in the fresh category resulting in a gold award. Doug & Enzo are highly recommended and look forward to taking on new challenges! Whether you want to keep your children and pets safe in the garden or get a little more privacy from your neighbors, fencing is important from both an aesthetic and security standpoint, so you definitely want your London, UK fence installation done right. When browsing London fence installers on Houzz, look for an experienced professional who has completed projects similar to yours and can provide insight and suggestions on materials and fence designs. Research your options prior to talking with a fence installer in London, UK as you’ll have a better idea of what you want and need. Additionally, put together a Houzz ideabook with fence styles and designs that you want — this will help your professional turn your vision into a reality.